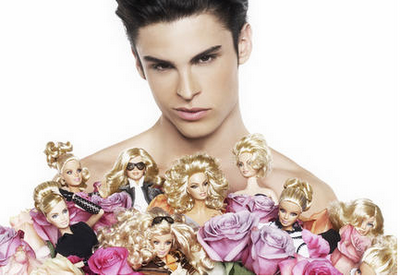 Happy Birthday Dear Barbie–Can You Believe She’s frikkin’ 50? With a bod like that, and clothes to die for, I wish she’s give up the names of her plastic surgeon, nutritionist, trainer, and personal shopper. But baring a peek at her little black book, how about an invite to one of her birthday parties held round-the-world? New York Fashion Week this month will fete her 50th with real-life leggy models, where “Fifty designers will be coming together for the first time in history to celebrate Barbie as an iconic figure in fashion. Presenting as a three generational fashion show (Past, Present and Future),” a statement from the organizers announced. Word is that Vera Wang designed a wedding dress for B that will be on sale for $15,000. For poorer Barbie owners, it’s already been knocked -off for $159.99 at Toys R Us on New York’s Times Square. – First-ever Barbie Runway Show at Mercedes- Benz Fashion Week in New York: In celebration of Barbie’s® unparalleled fashion heritage, on February 14, 2009, 50 world-renowned fashion designers will come together for the first time ever and showcase real-size, Barbie-inspired looks at Mercedes-Benz Fashion Week in the Tent at Bryant Park. In this monumental fashion celebration – that only Barbie could host – designers will celebrate the past, present and future of fashion, as inspired by Barbie® doll, first launched in 1959 as the “Teenage Fashion Model.” Designer names will be announced in early February. (Runway show on February 14, 2009; to be webcast live on Barbie.com). – Barbie’s Birthday Party at Her “Real” Malibu Dream House®: On March 9th (Barbie® doll’s actual birthday), event-planner-to-the-stars Colin Cowie will help throw Barbie® an outrageously pink birthday celebration at – where else – but a real Barbie® Malibu Dream House®, styled and decorated by famed “Happy Chic” interior designer Jonathan Adler. The newly designed “real” Dream House® (located on the beach in Malibu, Calif.) will play backdrop to what is sure to be the most talked about “pink-carpet” birthday bash of the year, where Barbie®’s closest famous friends from throughout the years will be invited to peek into the fashionista’s storied closet! (Barbie® Birthday Party on March 9, 2009 – by invitation only).